If you follow my blog or one of my other social network sites, you know my current work in progress, Howdy, Ma’am, is with an editor. Self-publishing has weighed heavily on my mind, so my book needed to be professionally edited. There is a long list of eBook publishers I’ve considered sending this W.I.P. to, but the decision to self-publish still sits at the top of my list. Since I’ve been through the publishing route with a publisher, it’s not something I want to do now since I’m free of a contract. That’s not to say I’d turn down a contract i f I opened my email and found an opportunity, but I would have to give it a lot of thought. Some of you know I had my first manuscript (MS) with a publisher for two years. Yes, you read that correctly. The manuscript was requested so it’s not like it sat in the slush pile. When I finally contacted them I learned it had been lost. When found, the editor requested some changes, which I did, and then I sent it back per his request. This meant more waiting but happiness and hope empowered me. Again, after a long wait I contacted them. My luck had run out because the editor who had requested the manuscript LEFT that publishing company. My MS was sent back with a nice letter mentioning the first editor left, and it wasn’t what the current editor was looking for. I won’t give the name but I can tell you it’s a top publisher in New York who kept my paper baby for two years. Another thing—they did not accept *simultaneous submissions which means while my novel sat on someone’s desk for two years, I couldn’t send to another publisher. That doesn’t mean I gave up. In the interim I started the second book in the series. It was a needed distraction, but without publishing book one, there would never be a book two. Those two books eventually got published. Times have changed and most submissions are through email. Many publishers will accept simultaneous submissions. Keep in mind, most big publishers prefer you go through an agent these days. There are many reasons for me to become an Indie Author. I’ve weighed the options. 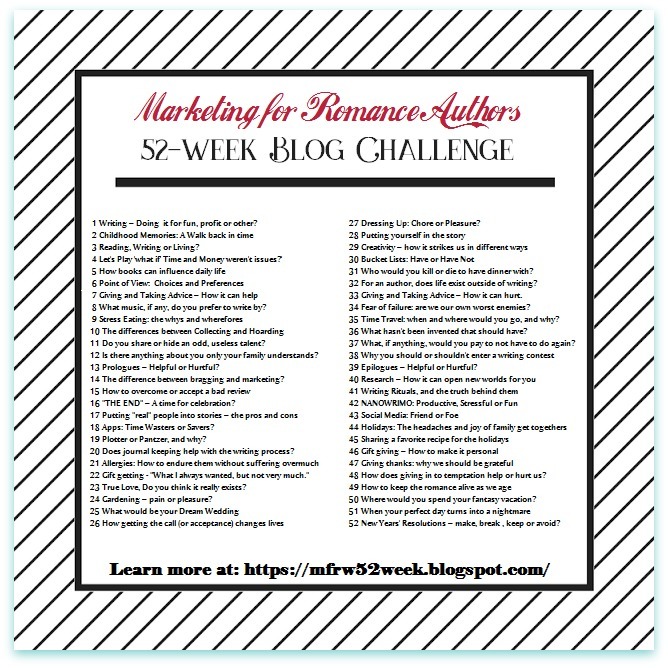 · They do some Marketing but you’ll be expected to promote your book. · Prestige of having a publisher If this is important to you, you’ve already made your choice. **Indie Author seems to be my way to go at the moment. It might not be yours. All of the work falls on the author when it comes to self-publishing/printing. Money will come out of your bank account instead of a publisher’s account. You don’t really have to pay to be published, other than the usual expenses that go along with marketing, cover, editing, etc. Doing everything yourself steals writing time so that needs to be factored in. This doesn’t scare me off. How about you? Marketing your book might not be a lot different with any publisher. Many times you must submit a marketing plan when you submit to a publisher, either traditional or online. If you’re thinking you won’t have to market with a publisher, think again. You will unless you hire a PR person to do it for you. Can you afford the cost? Can you afford to hire someone to design your cover? There are some great designers out there with reasonable prices, and you get the cover you want. I loved working with Dawné Dominque, the designer who designed my cover for Visions of Enchantment and Howdy, Ma’am. So, far I’ve worked with three different designers on different books including Dawné. It’s so much fun to see your idea turn into perfection. Feel free to ask about the other two designers I’ve used for other books. Do you want to pay an editor? I’m in the process of doing this as we speak. My decision to hire an editor is because I’m putting a book on the market with my name on it, and I want it to be as flawless as possible. You can also use what is called a Beta Reader who will read your finished product and give you feedback. Or, use an Alpha Reader who will read your work as-you-go to give feedback on what you are writing, as you are writing. An Alpha is usually someone you trust like a friend or family member. Remember they are not usually editors. Many of m y Facebook friends and Twitter followers use Beta Readers, at least for the first run-through of their finished manuscript. Laying out these choices make it easy for me to see why I choose to self-publish. It’s not because I don’t think I’m good enough. I know I’m good enough. The main reasons are because I’m tired of the waiting game, and I want control. With my previous publisher I went around and around over the title for my second book. This took a couple weeks. Then there’s the contract issues I won’t go into. From the time I received the rights back to the Enchantment series books, I knew they would be revised and self-published. If you have any questions or comments about anything I’ve said here, or have your own experiences you’d like to share, I’d love to hear from you. Whatever your choice, make sure you research, ask questions, and feel comfortable with your decision. Always think twice before you hand over money to have a book published, edited, or cover designed. Again, research is the key. *Where you can send to more than one publisher at a time as long as you let each know it has been sent to more than one. 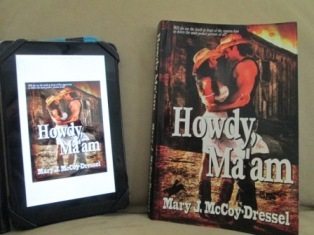 To update this post, I’d like to say I have, indeed, self-published Howdy, Ma’am, Book #1, and I’m glad for my decision. A lot of work, yes, but I think it’s so worth it. Book two coming 2013. Mary, this is great feedback about your experiences. Somehow I missed seeing this blog from last year. Thanks, Teagan. It’s definitely a journey, but one I plan to keep taking. Good luck with your own decisions. Hey, Craig, Thanks for commenting. As a ghost writer, I’ve worked with publishers, but it seemed a one way street… or they were so excited then it quickly vanished…I never felt I found anyone genuine or a genuine process, therefore, I so I look forward to learning more and more about the self publishing options and services… I will not miss main stream publishers at all. Adios. You have done quite a job at documenting your journey! What a great job for three go-getters. I appreciate you commenting and leaving your link. I have the hustle and drive for now. I’m not getting any younger. Best of luck to all of you. I’m more than happy with what we’ve accomplished doing it ourselves! We’ve won multiple awards and have two books on pace for 10,000 copies sold (out of 4 books total). It definitely helps that I have three-times the promotional power. 🙂 If you have the “hustle” and drive, DIY publishing is the way to go! Donna, I know the struggle well. I won’t pay to have my book published, as I mentioned, only the usual expenses involved with publishing an ebook via Kindle, etc. I did consider CreateSpace, but haven’t given it a lot of thought. I have no interest in self-printing. I’ve been though the book signing route, and did enjoy it very much, but now I have other fields to plant. I follow a great blog about self-publishing/printing. Actually, I reblogged one of her post which should be below this one if you’d like to check her out. She’s been through it all. I’ll check out your other social networking sites. Thanks for commenting. I recently went through the same struggles that you outlined in your piece concerning the choice of using a publisher or self-publishing. Myself, being a new author, brought with it a great deal of inexperience and many, many questions. I felt completely lost before I even began and it became apparent that research was the key to clearing up my confusion. I searched what seemed like every option and asked multitudes of questions, only to find that many of my questions only bred more questions. Some days I would lay my head down on my pillow with more questions than I had began my day with. It was all very confusing! When all was said and done, I decided to self-publish with a publisher that provided many of the services that I would be needing. Unlike many firms that I contacted, this particular self-publisher would not agree to print up anything and everything that was submitted to them. Instead, they reserved the right to decline manuscripts; whereas others gave me the impression that they would be happy to print up a book of stick figures, as long as I paid them a pretty penny. Looking back, there would be some things that I would have done differently. However, over all, I have been extremely satisfied with my choice to self-publish. I am happy to announce that within the next week, I will have in my hand…my novel; “Different Directions: How A Moment In Time Can Change One’s Life Forever.” Much to my surprise and delight, I have already had a number of pre-orders and have a good size following. Over the last nine months, I have used a great deal of social media to build momentum, and have even invited my followers to help with choosing cover designs, symbols, fonts, etc. We have ran contests, had those who read my manuscript share their excitement, and we have basically “built this book together.” It has been a wonderful journey, one that has already brought me joy. Now though….it is time to sell some books! I wish you the best with your book and I will check in occasionally to see how you have progressed in the process. In the meantime, please drop by my website and take a gander at what I have to offer, and check me out on wordpress and facebook as well. You can link to these on my website. Donna, glad yo found your way through the insanity of publishing a book, but you didn’t mention the publisher… who was your angel? Very thorough Mary. Time constrictions are a great factor in deciding how you want to publish. At the end of the day you often end up doing roughly the same work on promotions whichever path you take so going indie makes sense if you don’t want the long waits for the traditional publisher. Also, these days they do try to push services at you since they don’t have the incomes they once did. Finding the services yourself makes much more sense. Best of luck with Howdy, Ma’am. I’m not getting any younger and there’s so much more to write. Thanks. David.